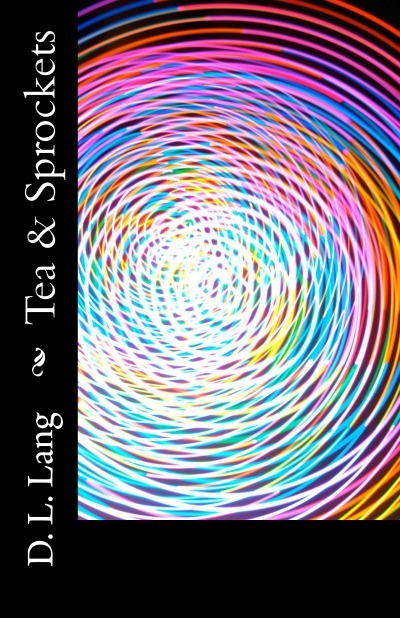 Diana L. Lang of Vallejo, CA is the author of the poetry books Tea & Sprockets, Abundant Sparks & Personal Archeology, Look Ma! No Hands!, Poet Loiterer and the now out-of-print Your Poetry eBook: Quick & Easy Formatting for Kindle. In 2015, she recorded her first spoken word album Happy Accidents. Lang has a diverse artistic background and is also known for her work on the films The Hebrew Project and Liquid Wind. She can be found behind the mic of poetry shows in and around Solano County, California. Tea & Sprockets spans 15 years of work encompassing poems from 1995 to 2010. Across the 150 pages of poems, Lang weaves together themes of love and friendship, death and loss, war and peace. Abundant Sparks & Personal Archeology is 162 pages of spiritual, silly, autobiographical poetry. It is the combined volume of two ebooks released originally in 2013. Look Ma! No Hands! is 150 pages of poetry--part fantasy, part autobiography, part prayer book, part honoring my inner child, part Jewish, part hippie, part Oklahoma, part California. Id Biscuits is 200 pages of poetry, with my inner hippie wanderer protester artist well reflected in this book, as it was in my previous work, Poet Loiterer. This could almost be seen as a sequel to that book. It contains topical poetry, autobiographical poems, spiritual poems, and story poems.